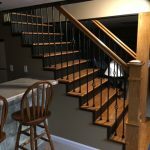 Designing a stairway that transitions between rooms with completely different styles can feel daunting. 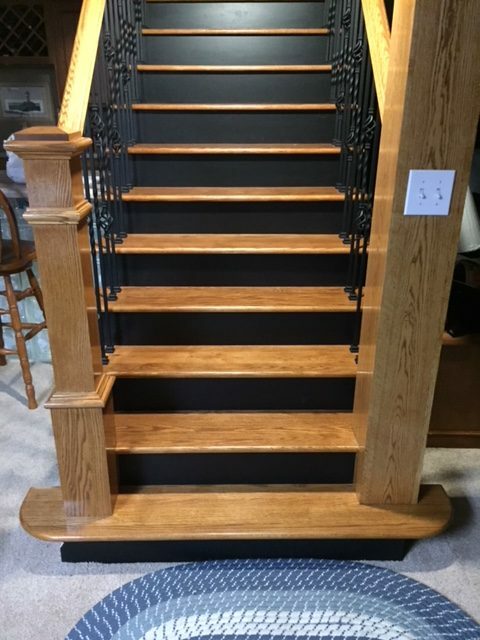 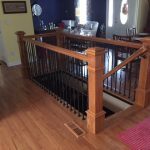 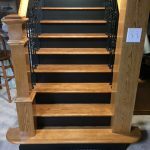 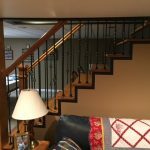 These Missouri homeowners took on the challenge with the help of StairSupplies, and the results are lovely. 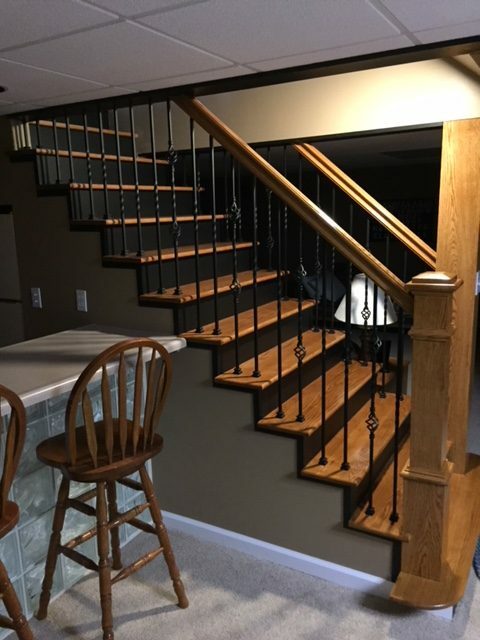 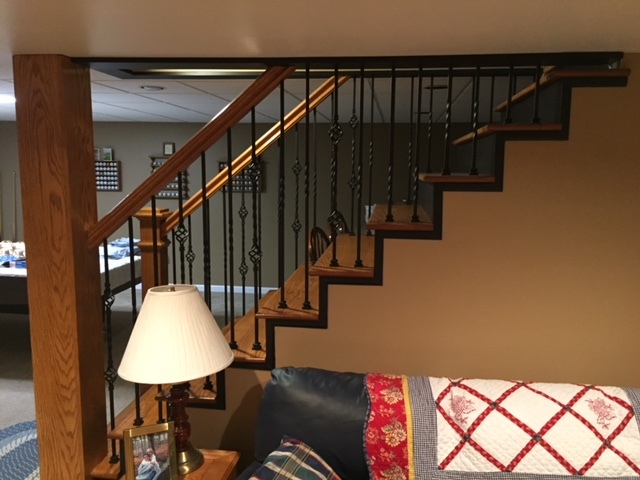 They paired Twist Series iron balusters with red oak treads and box newels to create a design that compliments the traditional look of their upstairs living space, while also incorporating the contemporary aesthetic of their basement recreational area. 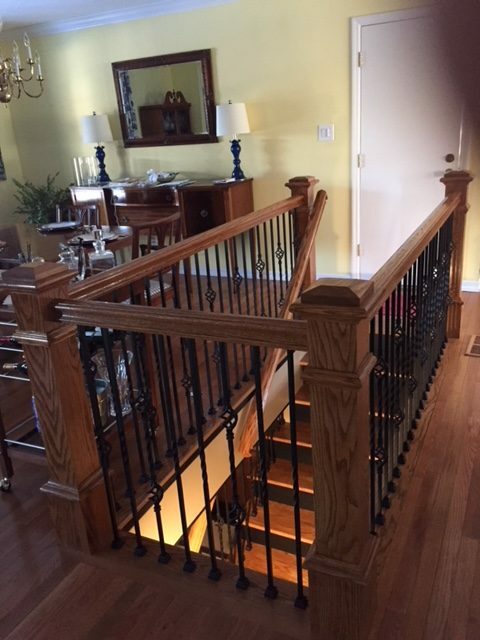 We love the way the wood blends seamlessly into the beautiful hardwood floors upstairs. 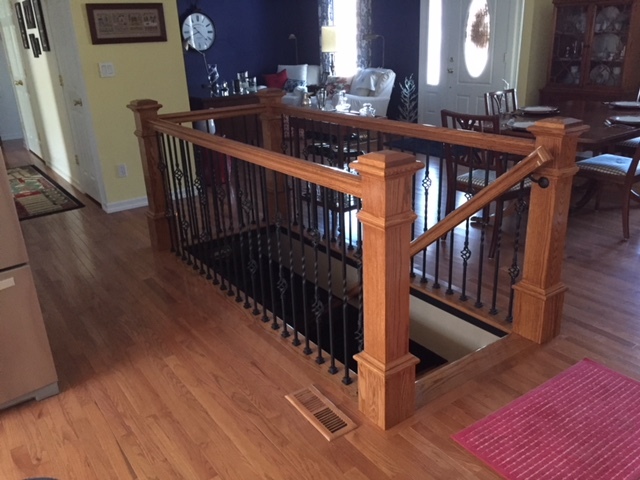 You would never know the flight was not part of the house’s original design!